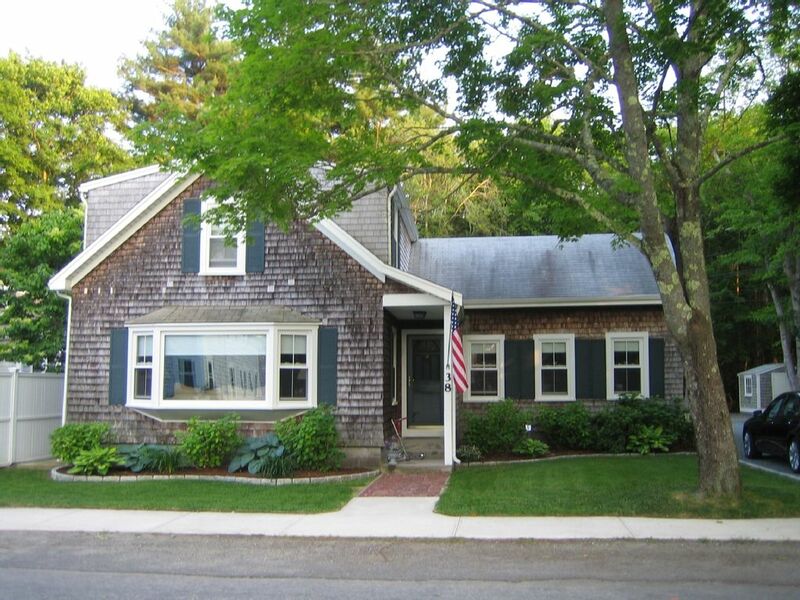 This non-smoking quaint seaside home is located in the village of Marion, MA. The village is one hour to Boston, Provincetown and Newport RI and thirty minutes to Cape Cod and Providence RI. Marion is a residential seaside community located on the southeast coast of Massachusetts, with the warm waters of Buzzards Bay, without the traffic and congestion of Cape Cod. Marion is known as a sailing and boating town. The house is located within easy walking distance to Marion's harbor, town beach, beautiful waterfront homes, general store, shops, art center, music hall, Beverly Yacht Club and Tabor Academy. This home was built in 1920 but renovated in 2001. It is bright and sunny with three bedrooms. There is a kitchen, half bath, office, living room, dining room and mudroom with washer and dryer on the first floor. Upstairs are three bedrooms and one bath. Outside there is table + chairs, outside shower and gas grill. House is located in the the town village close to Tabor Academy. Houses are close together. This house has a small cottage located on the property which is rented also. Perfect location in Marion. Close to Tabor Academy, beach and town as well as other vacation spots on Cape Cod, Islands or Plymouth. The property is well maintained and landlords are very responsive. House is located in the heart of Marion Village. Close to Marion General Store, Beverly Yacht Club, Marion Art Center, Marion Music Hall and other village spots. Close to ferry to go to Martha's Vineyard, Nantucket or Block Island. Also, 45 minute drive to Newport Rhode Island. Cancellation Policy: All monies paid are non-refundable. Cleaning fee for all rentals is $150; Summer rentals: 100% due upon booking; Pets are not allowed. Winter rental is $1350/month + utilities; First, Last & Current Months Rent Required For The 9 Month Lease Option. This is a non-smoking property.